Join the team building a faithful response to King County’s housing crisis. Bring a group to build on site, or have a member of our team join you to preach or share at coffee hour. Members of all faiths are welcome; we strive to be an example of what we can build when we work together! Stay plugged in and email us on when our faith meetings begin! Together we plan our annual Interfaith Build, learn from each other, take part in touring homeless encampments and other activities, and build relationship. If you or your faith community would like to get involved with Habitat on an ongoing basis, we ask that you send a representative to our monthly Faith Committee gatherings. 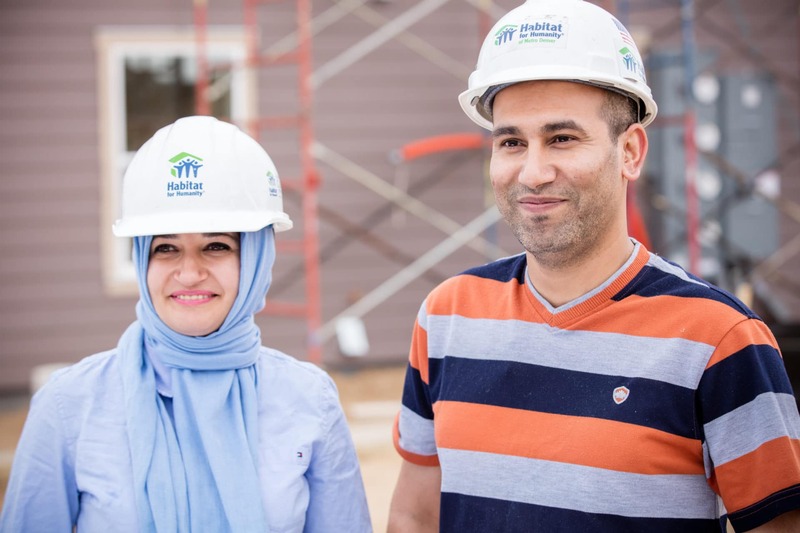 As your community’s representative, you will get the latest news and project updates from Habitat, hear different ways to get your faith community involved, learn, explore, brainstorm, and collaborate on exciting community events, such as our annual Interfaith Build in the fall. Please email for more information or to let us know you’d like to get involved. What do we expect from Faith Committee members? Habitat’s Interfaith Build has been taking place in King County for over 15 years. Started as a grassroots effort under the name “Together We Build,” in response to 9/11, our ongoing local Interfaith Build demonstrates the power of working together across cultural divisions in a spirit of Love to build a better world. Please email for more information on Habitat’s Interfaith activities. From our inception, Habitat’s work has been driven by faith volunteers. Beyond construction opportunities, faith communities can volunteer at our stores, do outreach and door knocking, show up for advocacy, gather for social time to learn from each other, organize and travel to global village trips or nationwide Habitat builds. If you have construction skills — all the better! Facilities support: If your facility is located near a Habitat project or in a central location, consider offering space for parking or our special events. Please contact us to get involved or propose your own idea. Do you know a family in need of housing? Join our mailing list to hear and share about upcoming Family Information Sessions, where prospective families can learn about partnering with Habitat and start the process. Faith volunteers often make great Family Support Partners, who tutor, mentor, and work alongside families as they build and learn about becoming a homeowner. Please contact us to learn how you can get involved supporting Habitat Families. Faith communities who believe in stable housing for low-income families have supported Habitat in many ways, from faithful monthly donations to financially supporting entire homes. Land & distributions: If you have property that is no longer serving your mission, Habitat can ensure land and facilities serve the needs of our most needy for generations to come. We have also helped churches at the end of their life cycle create a lasting legacy. To discuss an offering to Habitat, please email us or call 206-866-7599. Please note, Habitat for Humanity Seattle – King County is the only Habitat that builds homes locally in King County. We also tithe 10% of our unrestricted income to build homes overseas. Pray continually for the work of Habitat: for volunteers’ safety on the jobsite, for Habitat families through their transition to stable lives, and for the steadfastness of our staff and donors. If you share your community prayer requests via social media, please include us using @HabitatSKC.